A world music-influenced indie-rock band, the band started in a teenager's bedroom in New Mexico. 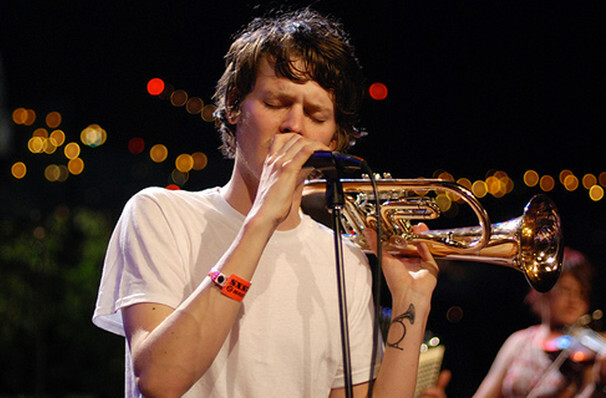 That former teenager, multi-instrumentalist and frontman Zach Condon, is now joined by members Perrin Cloutier, Nick Petree, Paul Collins, Kelly Pratt and Ben Lanz. 2019 will see them back on the road in support of their 5th record, Gallipoli, to be released next February. Combining upbeat singable pop with the old-world feel of Balkan Gypsy Folk music, accordion, brass and strings meld perfectly the subtle theatricality of Condon's melodious voice and the delicate strains of his ukulele. Their music is uplifting and danceable, evoking a hazy Summer spent in charming European climes. Sound good to you? 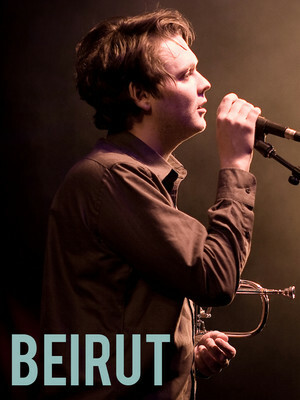 Share this page on social media and let your friends know about Beirut at Birch North Park Theatre. Please note: The term Birch North Park Theatre and/or Beirut as well as all associated graphics, logos, and/or other trademarks, tradenames or copyrights are the property of the Birch North Park Theatre and/or Beirut and are used herein for factual descriptive purposes only. We are in no way associated with or authorized by the Birch North Park Theatre and/or Beirut and neither that entity nor any of its affiliates have licensed or endorsed us to sell tickets, goods and or services in conjunction with their events.